We’re obsessed with boots here at Boot Butler (obviously!) and so today are going to take a look at a very important part of all footwear: the heel. 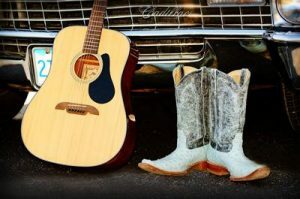 We’re going to focus on cowboy boots since we know that lots of you have at least one pair. Or perhaps you’re in the market for a brand new pair of fantastic cowboy boots? In which case, knowing about the various types of heels and what they’re for is going to be an important part of your research. Before we move forward, let’s take a look back, because the history of how heels came to be is intriguing and fascinating. Fun fact that you’ve probably already heard, but it bears repeating: Heels were first worn in the east by men as an essential part of their horse riding gear. This was especially important for soldiers, as good heels allowed them to get a firm grip when they stood up in their stirrups. Which, in any fighting situation, would then allow them much more accuracy when shooting their bows. Then, at the end of the 16th century, the very first diplomatic mission from Persia paid a visit to Europe. It called on Spanish, German and Russian royal courts. The Europeans and Russians quickly noticed and became intrigued with the Persians’ heeled footwear, which soon became the stylish thing to wear in aristocratic circles. Europeans and Russian aristocrats decided to go one step (ha!) further to give themselves even more of a stylish edge, and dramatically raised the heights of their heels. Other European aristocrats took a look at what their neighbors were wearing, and also got into the high heel craze. 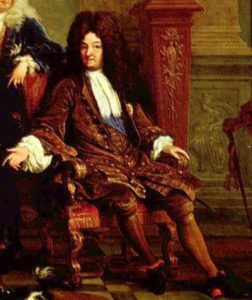 France’s King Louis XIV especially embraced this new high heel style. He was a bit on the short side — about 5’4.” That wouldn’t be a huge deal, except that he was an extremely powerful monarch with an extremely large ego who wanted his physicality to appear as majestic as possible. In the 1630s, the craze for high heels spread to ladies as well. Interestingly enough, it’s because of a fashion fad for women that dictated that they should adopt men’s styles. Ladies chopped off their hair added military-like elements into their outfits. And put on high heels. Through the 17th century, shoes and heels for men and women were very similar. But with the 18th century came notable distinctions between male and female footwear. Women’s skirts were floor-length, so their shoes were designed to taper at the tips so that these would just peek out from the skirt’s hem, thus giving the notion of a feminine, dainty foot. Men’s heels got more blocky, women’s more slender. Boot Butler helps extend the life of your boots by storing them properly, preventing creasing and getting them off the floor. Walking heels have little or not slant, meaning that they’re square (or mostly square). Generally, about an inch in height, they are comfy to wear while you’re walking around. Boots with these types of heels are also known as “ropers,” — as in, you can wear them when you’re on your feet roping cattle, working a rodeo, or going about your everyday business. Riding heels are 2 inches in height, and have a noticeable slant to them. That means that they’re wider at the top — where they attach to the boot’s heel — and then narrow down at the part of the heel that touches the ground. The reason for this is practical: the nook of that slant is what’s going to help keep the boot in a stirrup. This type of heel is known as an underslung heel. And because there’s no relatively sharp, 90-degree angle at the back of the heel, it’s gentler on the horse since there’s less friction and thus discomfort. Then there’s the last category of the heel, which is a blend of a walking and riding heel. And these are the most common types of heels that you’ll see on cowboy boots. The height will be about an inch and a half, and the heel is slightly underslung, meaning that it tapers a little. The reason that the last category is the most common is that it is the most practical for everyday wear. The heel, since it’s not too tall or too underslung, is still comfortable enough to walk around in. That matters especially for men, who may not be used to walking around in heels like many women are. 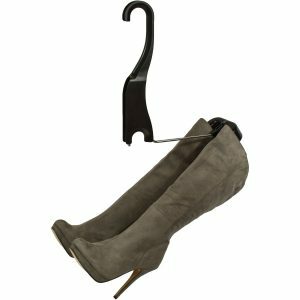 Plus, the heel’s height also allows pants and jeans to hit just above where the heel meets the boot’s leather. That means that the bottoms of your pants will become less frayed, as they won’t constantly be rubbing against that seam. Another fun fact: The taller the heel on your cowboy boots, the more mass it has. And thus, the louder the sound it’ll make when you’re walking. 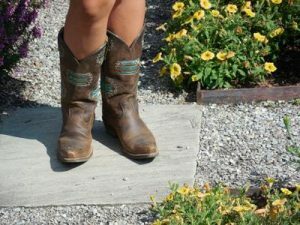 Some cowboy boot wearers love that sound, while others can’t stand it — and so you’ll notice rubber soles especially on men’s dress cowboy boots, to dampen that sound. You can have rubber soles put on any cowboy boot heels, however, depending on your preference. 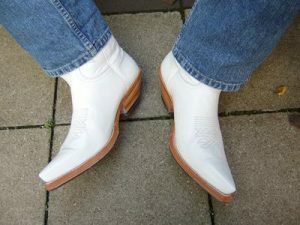 A note here on fashion cowboy boots, which may combine some of the elements of the above heel types. The heels will generally be taller, however: 3 to 4 inches, plus they’ll be much spikier, meaning that the taper will be much more dramatic than on an underslung heel. Boots can be a substantial investment, particularly if you collect different types or own many pairs. And like any good investment, they need the right kind of attention and care. 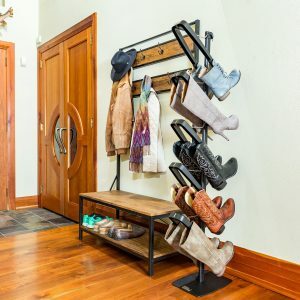 Our Hanging Boot Rack was developed to help boot lovers everywhere extend the life of their boots, prevent creasing and get organized. So, invest in proper storage and enjoy your boots for years. Happy wearing!